cosmetic procedures Archives - Doctor Hermann M.D.,P.A. Sclerotherapy is a popular cosmetic procedure that eliminates superficial “spider veins” and slightly deeper reticular “blue veins”. A sclerosing solution is injected into the vein with a small needle. This solution irritates the vein wall, and the goal of the procedure is to achieve closure of the vein. The number of treatments needed will vary based on the severity and number of veins identified. 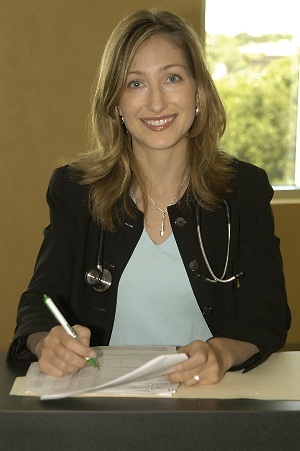 Dr. Anne Hermann, a holistic internal medicine physician, offers sclerotherapy to her patients. Dr. Hermann and her staff also perform numerous other cosmetic procedures. These include: Botox and cosmetic filler injections, laser hair removal, facial rejuvenation, skin tightening, cellulite reduction and a variety of aesthetic services. Offices are maintained in Tampa and Saint Petersburg Beach, Florida. Please contact the office at (813) 902-9559 for more information or to schedule an appointment. The advanced hair removal system is a non-invasive gentle pulsed light treatment utilizing laser therapy. Multiple hairs are treated with each pulse. The pulsed light targets the melanin in each hair follicle; this causes thermal damage to the hair growth cells without harming normal skin. Each treatment reduces the number and size of hair follicles until the desired end result is reached. Most patients will feel minimal discomfort during the procedure. After the procedure hair follicles in the skin will be red and lightly swollen. There is no down time or recovery time after the procedure. Treated hair will gradually shed over the next two weeks. Treatment time depends on the size of the treatment. Depending on your skin type and area to be treated, 2-10 treatments are often necessary. Dr. Anne Hermann, a holistic internal medicine physician, is pleased to offer IPL therapy to her patients. Offices are maintained in Tampa and Saint Petersburg Beach, Florida. Please call the office at (813) 902-9559 for more information or to schedule an appointment. This post was written by Anne Hermann. Follow Anne Hermann on Google, Facebook, Twitter & Linkedin. Many patients use Dysport because it is priced better and they get the same benefit as they would from Botox. Dysport is made by the makers of Restylane and has been FDA approved for treatment of fine lines in the US for over three years. I would like to explain how Dysport can be priced at only $4.50 per unit, while Botox is $10 to $12 per unit (depending on how much you receive). Dysport dosing is double that of Botox. For example, if I use 20 units of Botox the same treatment with Dysport would be 40 units. So, Dysport is not really half the price of Botox. It is more like 15 to 20 % less than Botox. When treatments cost $200 or more, this can still amount to significant savings. The medical offices of Dr. Anne Hermann are conveniently located in Tampa and St. Petersburg, FL. To schedule your appointment with Dr. Hermann, please call (813) 902-9559. Belotero Balance is a hyaluronic acid dermal filler. It is very similar to Juvederm and Restylane as they all have the same active ingredient, hyaluronic acid. The difference is that Belotero Balance can be injected much closer to the surface of the skin. Juvederm and Restylane cannot be injected as close to the surface of the skin as Belotero Balance because they leave discoloration if they are injected too superficially. So, Belotero Balance allows the doctor to erase fine lines and wrinkles that we were not able to inject in the past with the older fillers. The medical offices of Dr. Anne Hermann are conveniently located in Tampa and St. Petersburg, FL. To schedule your appointment with Dr. Hermann, call (813) 902-9559. Dysport and Botox work the same way and both last 3 to 4 months. Dysport was approved for treatment of fine lines and wrinkles in 2009 and was the first FDA approved competitor to Botox in the United States. If some have all of these areas treated, the savings are $106. I offer Dysport as a good alternative to Botox. It is well proven to be equally effective at a better cost. fillers are injected too close to the surface of the skin, they leave a bluish or whitish color under the skin. The older fillers are meant to be injected into a deeper layer of the skin and are best at adding volume to an area of the face that has lost volume. Belotero will not leave any discoloration when injected just under the skin. This allows us to inject very fine lines around the eyes or mouth with much better results. 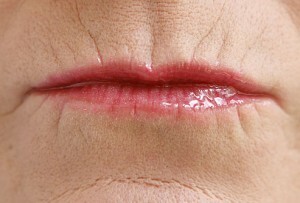 Until Belotero was available, I often would not inject “smoker’s” lines around the mouth or fine lines around the eye. Juvederm and older fillers simply made those areas look too puffy. Now we can use Belotero to treat those difficult areas. The medical offices of Dr. Anne Hermann are conveniently located in Tampa and St. Petersburg, Fl. To schedule your appointment, call (813) 902-9559. Three syringes of Dermal Fillers: (any combination of Juvederm and Radiesse) for $1200. This is a $375 discount. Botox: $40 units for $320 when purchased with three fillers as described above. This is an $80 discount. Accent RF for Skin Tightening: We offer a 20 percent discount to patients who have purchased three syringes of filler or more. Chemical Peels and Facials: We offer a half price peel or facial to anyone who has purchased three syringes of filler or more. We will consult with you to determine which treatment will give you the best results. We often use Radiesse to fill in or plump up bony hands. The treatment takes 15 minutes, but plan for 40 minutes as we apply a numbing cream for 20 minutes prior to injection. There may be some swelling or bruising afterwards, but patients can use their hands right away. Swelling lasts 24 to 48 hours and bruising may last up to two weeks. Treatment lasts 12 to 18 months. It usually takes ½ to 1 full syringe per hand, and cost ranges from $540 to $1080. We use a new technique for dermal filler injection called the cannula technique. Dr. Dave Christianson trained on this technique through one of the inventors of this method in 2011. He brought back what he learned and I was impressed. So, I began my training a month later. Now, only a year later, the cannula technique is becoming the new standard for injection technique for fillers and here is why. What is the Cannula Technique for Filler? The cannula is a bendable, blunt (not sharp) tube the size of a needle. The doctor makes a small hole with a needle, but rather than injecting the needle, he or she removes the needle and inserts the cannula in the hole. Dermal fillers injected with a Cannula are safer. Because the cannula is bendable and not sharp, it will not puncture blood vessels or nerves. So, this is a MUCH safer technique. Dermal Fillers yield better results with Cannula. Because we can move the cannula around more, we can inject areas that were difficult to inject before. I am able to direct the cannula into hallow areas of the cheek where I would not place a needle. This gives my patients a more complete treatment. Patients experience less discomfort during treatment with Cannula. With cannula technique, we only use the needle a few times during a treatment. Therefore, the experience is less painful. Less Bruising and Downtime with Cannula. Because the cannula is much less likely to puncture a blood vessel, patients have less bruising and less downtime. The medical offices of Dr. Anne Hermann and Dr. Dave Christianson are conveniently located in Tampa and St. Petersburg, FL. To schedule your appointment, call (813) 902-9559. Botox vs Xeomin: Which Treatment is Right for You? The three cosmetic Botulinum toxins are Botox, Dysport and Xeomin (incobotulinumtoxinA). My patients often have questions about the difference between Botox, Dysport and the latest competitor, Xeomin, and which product will give them the best result. I have taken the time to share what I tell them in the article below. Botox has been FDA approved for muscle spasticity for over 20 years. It was FDA approved for cosmetic treatment of fine lines and wrinkles in 2002. Botox is made by Allergan, the same company that makes Juvederm. Prices will vary; we charge $10 to $12 per unit. Typically 0.01 cc of Botox is one unit of Botox. So, an average amount of Botox for frown lines is 25 units. If you receive 25 units, you will be receiving 0.25 cc of Botox. At $12 per unit, 25 units cost $300. Xeomin is made by the company that makes Radiesse. It has been in use in Europe since 2008 and received FDA approval for use in the US in November 2011. Unlike Botox and Dysport, Xeomin has no additives. This may lessen the chance of developing antibodies to the product. Also, it works slightly faster than Botox. Otherwise, Botox and Xeomin are virtually interchangeable. Both will last 3 to 6 months. Because Xeomin is new to the market, it is priced better. At $9 per unit, a treatment that would cost $300 in Botox will cost $225 with Xeomin. The active ingredient in both of these products is a naturally occurring protein derived from the bacteria Botulinium. The protein temporarily prevents muscles from contracting for three to six months. The results of both Botox and Xeomin treatments are gradual. With both treatments, you will begin to notice results anywhere from three days to one week after treatment, reaching maximum benefit at two weeks. Most often there is no bruising from the injections, and if there is any bruising, it is typically small. However, we advise that if you want to look your best for an occasion or event, get the treatment two weeks prior to that event. This will give any bruising time to heal and botulinim takes 10 to two weeks to reach maximum benefit. Post treatment instructions are not to lie down on the treated area for 4 hours and no deep massage of the area for two days. It is okay to wash your face and apply make-up. To schedule your appointment in either our Tampa or St. Pete Beach office, please call (813) 902-9559.